The Beatles 50 Years Ago Today: October 25, 1967. Beatles Radio: The Beatles, Solos, Covers, Birthdays, News The Fab 4 and More! A 7:00 pm to 3:00 am session in which "The Fool On The Hill", now complete, was mixed into mono and edited. 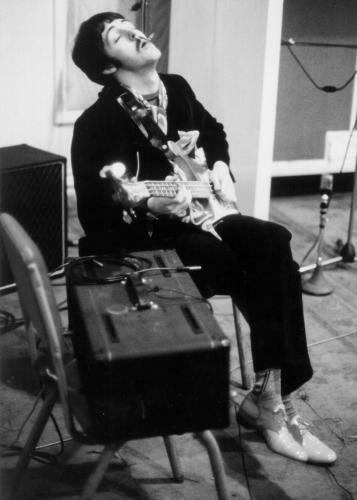 And then Paul overdubbed bass onto simultaneous reduction mixdowns of "Hello, Goodbye" - the best being "Take 21".